Superior EDM Cuts For Superalloys | KLH Industries Inc.
Superalloys, which are also called high-performance alloys, are the man-made mixtures of elements that allow modern society to travel faster and reach further. While “superalloys” might seem like the naming convention of 7-year-old, there is certainly some truth to their superhero-like characteristics. Superalloys are classed according to their primary element – cobalt, iron, or nickel – but can have as many as 15-20 other elements in its composition. Moderate percentages of chromium, for example, add oxidation and corrosion resistance. Each element adds a specific property to create a whole that is greater than the sum of the parts. Forging a superalloy is like baking a cake, but at over 2,000 degrees F.
With an endless possibility of mixtures, the number of superalloys is a moving target. There are a number of general categories - like Waspalloy, Haynes, or Inconel - but different compositions within each category, like Inconel 718 or Inconel 600. From there, certain applications can have additional specifications, like nuclear power, which stringently requires Inconel 600T. 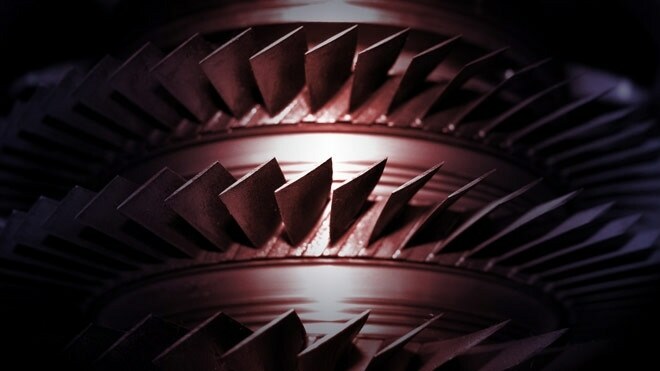 Despite the countless variations, there are some basic commonalities with superalloys. In general, they have unmatched mechanical strength at high temperatures, as well as great resistance to corrosion and oxidation. According to The Mineral, Metal & Materials Society, superalloys comprise over 50% of the weight of aircraft engines. Firing up a jet engine without superalloys would be like putting Tupperware in the oven. Many of high performance applications for superalloys also have high precision requirements. However, the high-stress characteristics that make superalloys appropriate for turbine blades, also make superalloys highly-stressful to precision machine. Perhaps the most useful aspect of the EDM machining process is that material hardness is rarely a limiting factor. If the material is electrically conductive, it will cut. When the shape of a part fits within the wheelhouse of the technology, wire EDM is a high precision and reliable method of cutting. EDM is seemingly flawless fit for the superalloys found in the aerospace industry, yet, the EDM process is notoriously unpopular amongst aeronautical engineers. The story, as it has spread in almost fairytale-like fashion, is that a weld on a jet engine failed as the end result of a high-temperature manufacturing process. The story makes for metallurgical common sense; heat hardens alloys. The aerospace industry has doubted the EDM process since discovering the recast layer, a thin white layer caused by the electrical heat generated. The recast layer is typically harder than the base material, and more susceptible to cracking on a microscopic level. The recast layer can also affect downstream processes that bond to the material’s surface, such as welding and anodizing. As the source of electrical current, advanced circuitry in the power generator allows for more precise control of the spark erosion process. Even though EDM processes had improved over the past few decades, the aerospace industry was still using antiquated EDM machining specifications, based on machine technology from the 1970s. Today, detailed testing has shown EDM machines leave no measurable HAZ and produce recast layers of less than 0.0004 of an inch. Micro-cracks are almost non-existent. According to Radical Departures, multiple tests, including one performed by Lockheed Martin, are proving EDM machining as viable options for aerospace machining. Makino published their own tests results for ram (sinker) EDM and wire EDM machining on four different materials: titanium, aluminum, Inconel, and stainless steel. Just as superalloys are an essential part of everyday life, so are the precision machining services that shape them.